The acquisition of an empire that stretched across North America, the Caribbean, Central America and the Pacific world transformed the United States at the turn of the twentieth century. 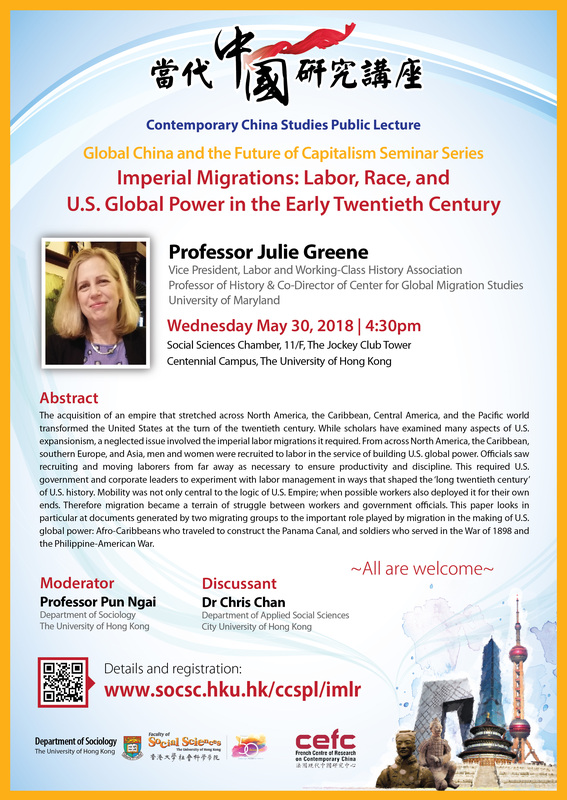 While scholars have examined many aspects of U.S. expansionism, a neglected issue involved the imperial labor migrations it required. From across North America, the Caribbean, southern Europe, and Asia, men and women were recruited to labor in the service of building U.S. global power. Officials saw recuriting and moving laborers from far away as necessary to ensure productivity and discipine. This required U.S. government and corporate leaders to experiment with labor management in ways that shaped the ‘long twentieth century’ of U.S. history. Mobility was not only central to the logic of U.S. Empire; when possible workers also deployed it for their own ends. Therefore migration become a terrain of struggle between workers and government officials. This paper looks in particular at documents generated by twon migrating groups to the important role played by migration in the making of U.S. global power: Afro-Caribbeans who traveled to construct the Panama Canal, and soldiers who served iun the War of 1898 and the Philippine-American War. This seminar is the third of the “Global China and the Future of Capitalism Seminar Series” being held in 2018 and 2019. The concept note is available here. All interested are welcome, limited seats.